Fully understanding the nature of indirect and direct conflict is vital for turning clashes into opportunities. A conflict might start with a simple disagreement but then escalates to a situation in which one or more of the parties feels a real or perceived threat. Perceptions, emotions and position in the chain of command often determine whether conflict is indirect or direct. You’ll never entirely eliminate either type from the workplace, but you can learn to manage both types effectively. A disagreement is a simple difference of opinion that, according to Doug Hovatter, an associate professor and extension agent at West Virginia University, most often lays a foundation for new ideas and ways of doing things. In contrast, both indirect and direct conflicts typically arise from disagreements centering on deep-seated values, motivations, perceptions, ideas or desires. Unlike disagreements, conflicts most often produce negative results. According to Hovatter, the most common are unhealthy competition, hostility, suspicion and distrust. Direct conflict can result in an all-out war between employees in your business. Hovatter explains that in a business setting, most direct conflicts focus either on allocating and using business resources or on power and authority. Direct confrontations, accusations, directly challenging authority and power struggles are common examples. It’s vital to get direct conflict under control quickly as it can undermine your entire business, and in some cases, may lead to violence. There are five main conflict-management strategies to choose from in dealing with a conflict situation. Whether you choose to deal with the situation by forcing, accommodating, avoiding, compromising or collaborating depends on the type of conflict and time constraints. While the goal is to preserve or repair a working relationship, this isn’t always possible. 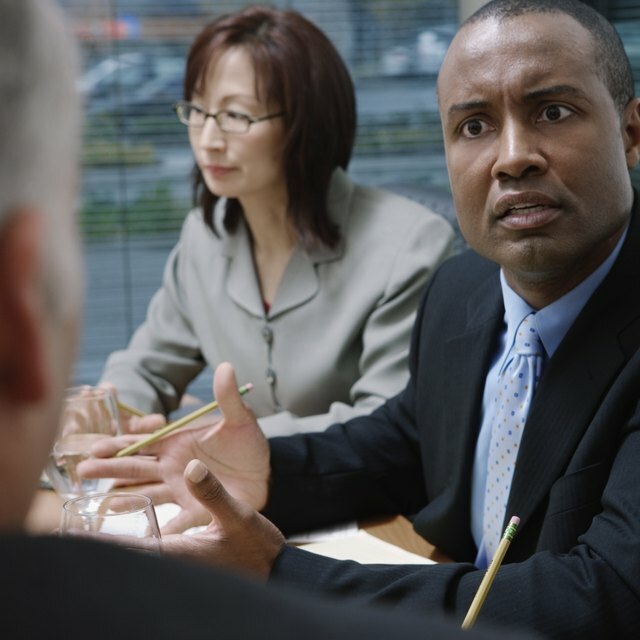 For example, you may need to assert power to stop a direct conflict between two employees. If you’ve tried avoidance with an indirect conflict -- which most likely won’t work -- compromising or collaborating may be a better strategy.